Two Tibetan writers have been freed after serving their jail sentences. They were sentenced to 4 years in 2010 because of their comments on the protests against Chinese rule in 2008. Two Tibetan writers jailed by Chinese authorities for their commentaries on deadly protests against Chinese rule in 2008 have been freed after they completed their prison terms, according to sources. Jangtse Donkho and Buddha, editors of the banned Tibetan language journal Shar Dungri or Eastern Snow Mountain which published the commentaries, were released from prison in Sichuan province on Friday. They were released after completing their prison terms on charges of “incitement to split the nation,” a source in Tibet told RFA's Tibetan Service. Buddha is a doctor by profession while Donkho is a prize-winning poet. The duo were sentenced on Dec. 30, 2010 by the Ngaba (in Chinese, Aba) Intermediate People’s Court to four years in prison at a hearing in which none of the defendants, families, or lawyers were allowed to address the court. They were detained in the summer of that year after their essays about the March 2008 protests in Tibet and issues of Tibetan culture and identity were published in Shar Dungri. 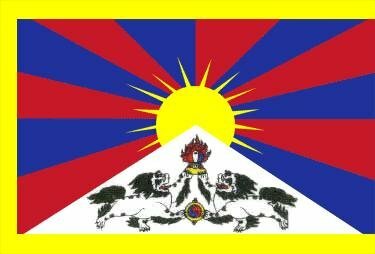 Their collection of writings was the first published Tibetan language commentary about the 2008 protests and crackdown, and it offered a critical perspective reflecting a prevailing despair, loss, and darkness, but also a way forward, according to a report by advocacy group International Campaign for Tibet (ICT). The journal was quickly banned by Chinese government authorities, but not before copies had circulated in areas of Qinghai and Gansu provinces and beyond, it said. During the October 21, 2010 trial, there had been moving scenes in the Ngaba courtroom when the Tibetans were allowed a few minutes with their families. Buddha had tried to pick up his two-year-old son but failed because his arms were chained. “So he kissed his child twice and asked his wife to make sure their son learned the Tibetan language. Then he was escorted away,” a source told RFA then. “[But] since we are minorities, you punish us with detention, trial, and jail,” he said then. China has jailed scores of Tibetan writers, artists, singers, and educators for asserting Tibetan national identity and civil rights since the protests in 2008 were violently suppressed. In the ensuing violence, at least 22 died, according to Chinese authorities.